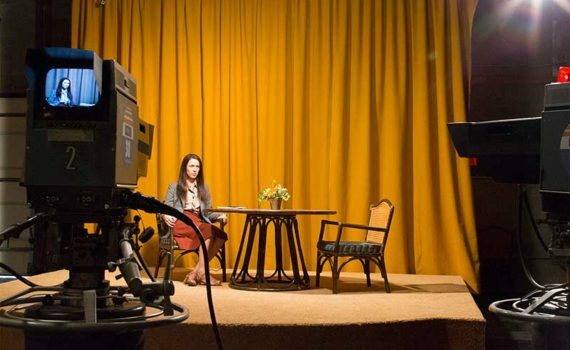 Right now, Rebecca Hall is not being mentioned often in the Best Actress conversation, but having now watched Christine, I’m ready to say that it would be more correct to note that she isn’t being mentioned often enough. You could see this performance coming a mile away; a good but not overly-famous actress taking on a true story role, delving into the harsh realities of the character until she almost became Christine, unsettling audience everywhere with a film that is all too honest. It’s a movie that was made as a vehicle for its lead, and it has the real potential to take Hall all the way to the Oscars. Right now, and as we wait for so many other front runners to be released, I think she might get my vote. Christine Chubbuck was a news reporter in Sarasota, Florida in the 70s, a woman who battled depression and loneliness wherever she was, whether for education or employment. A 29-year-old self-proclaimed virgin who had never had a serious relationship, Christine lived with her mother, harbored a desperate crush on a fellow anchor, had little to no friends, and grew increasingly agitated with her solitary state as the years past. Suicide attempts, drug use, and violent mood swings had haunted her for years, and as her 30th birthday approached & an ovarian cyst led to the lessening chance of her ever getting pregnant, Christine’s world became darker & darker, her depression seething to the surface, until little was left for this lonely & troubled woman to live for. One of the darker films you’ll ever watch, and one whose brief moments of humor only highlight the desperate nature of Chubbuck’s life, Christine is a tragedy from start to finish. If you haven’t ever heard of the real woman behind this story, it isn’t too hard to guess that it doesn’t end well, and so you should be prepared for the worst. It can’t have been easy for Rebecca Hall to take on this role, and yet she does so with genuine skill and a touch of humanity that goes quite far toward our understanding of this tortured soul. Hall deserves all the credit in the world for pulling this off, and for carrying the movie squarely on her back. Her costars were solid, though the direction could have been a touch better, allowing the pace to drop too often and the film to end without the punch it needed. Christine might not go down as one of the very best of 2016, but Hall’s performance will, whether that ultimately leads to awards or not.